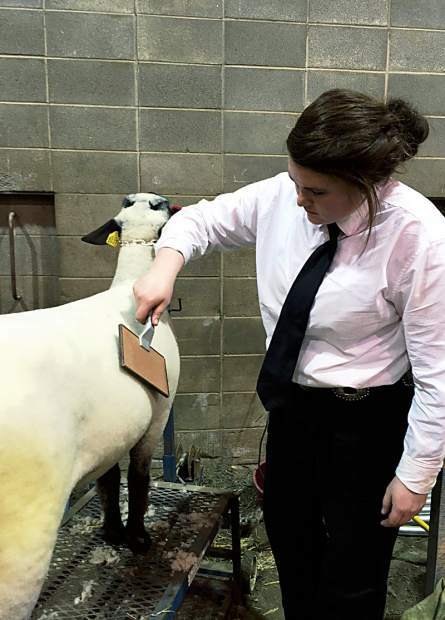 Kaley Nolz, a sophomore agriculture business student at South Dakota State University, works on her lamb before the sheep showmanship contest at the 93rd Annual Little International held on campus April 1-2, 2016. Photo by Amanda Radke. For nearly 100 years students at South Daktoa State University have been planning, organizing, implemeting and competing in the Little International, or “Little I.” The competition is considered the largest two-day agricultural exposition in the country, according to the SDSU website. 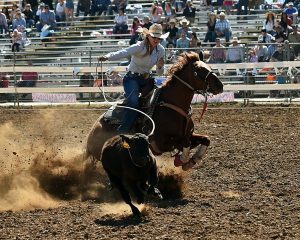 High school and college students compete in judging contests, showmanship competitions and fitting challenges. Little I started in 1921. It was cancelled in 1926 because of a scarlet fever epidemic and in 1944-45 because of World War II. In the other 93 years, the show has gone on.